Despite having a slower metabolism, walleyes still feed throughout the winter. During the winter, walleye eat less than 1% of their body weight as compared to the summer when they eat approximately 3%. Walleye generally feed around sunrise and sunset during the winter and particularly in clear water. 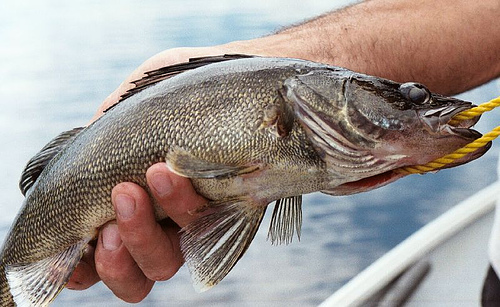 Sometimes walleye establish a smaller home-range during the winter, usually only a fraction of the size of their summer range. On smaller lakes walleye generally stay close to most traditional structures such as steep-breaking humps, deeper portions of long points and deep saddles. At late-ice, the walleye move shallower, often closer to areas where spawning will take place.